Fast and easy to use - 10-20 times quicker than mortar jointing. 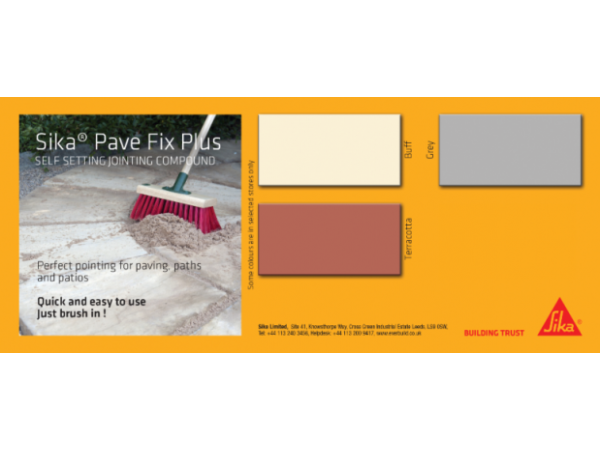 Simply dampen the paving, then sweep and brush pavefix into the joints. Environmentally friendly - Made from virtually 100% natural ingredients including silica sand. Easy joint meets all SUDS requirements, allowing natural drainage through the joint. It will not harm animal, fish or plant life.